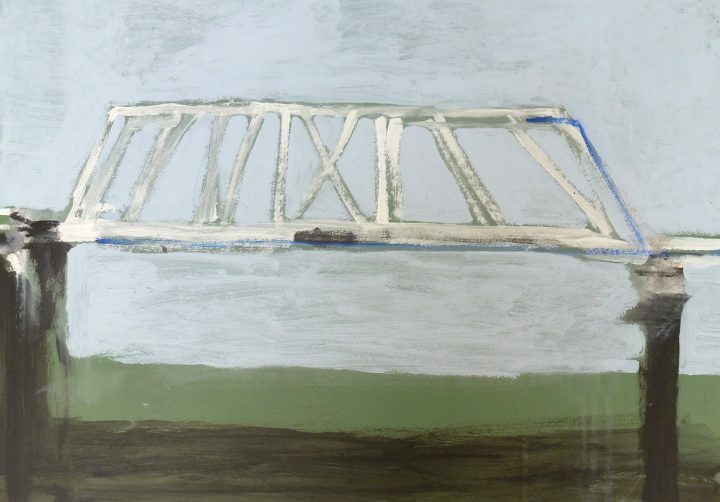 Included in our current exhibition Andrew Sayers: Defining the Artist is a series of gouaches created over a five year period focussing on the picturesque wooden bridges of the south coast of New South Wales. The bridges attracted Sayers as subject matter on a number of levels; from their natural appeal, to a curiosity about their structure and the opportunity to contrast elements of time and history. All painted en plein air, the works range from sunny depictions with lush vegetation and golden sands, to minimalist white posts seeming to float in the air. To take A Closer Look At… the Bridges of Andrew Sayers and read the illustrated essay, please click here.